WHAT IS THE MNIBA NATIVE BUSINESS DIRECTORY? It is a free statewide Native Business directory that is continuously updated to include new listings. It makes connecting with businesses, artisans, professionals, non-profits, foundations, tribal colleges, associations, economic development, and financial services owned by or led by Natives, tribal enterprises and tribal governments easier! An electronic directory streamlines distribution and reaches a greater audience. It will connect new business opportunities and foster Native to Native buying on a new level by elevating business, products and services. The directory honors, celebrates and promotes the diversity of native trade and commerce activity in Minnesota. It encompasses all forms of entrepreneurial endeavors. 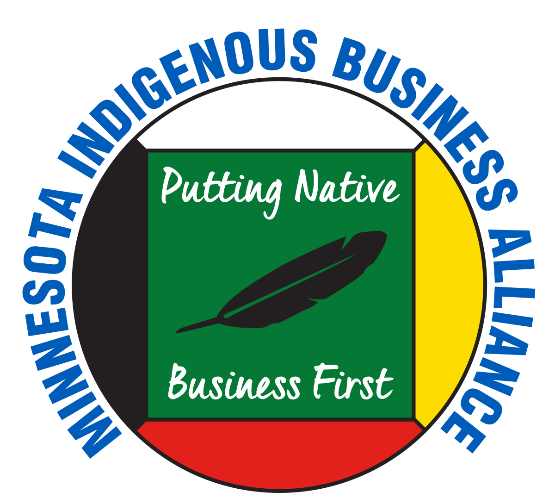 The Minnesota Indigenous Business Alliance (MNIBA) reserves the right to review applications, request additional information before listing and to refuse applications if they cannot be verified. To be listed in the directory as a native-owned business, MNIBA requires a completed application and a photo copy of applicant’s Tribal ID, CDIB Card, or BIA enrollment documentation at submission. To be listed in the directory as a native artisan, MNIBA requires a completed application and a photo copy of the applicant’s Tribal ID, CDIB Card, BIA enrollement documentation, or Tribal Artisan Certification Documentation as defined in Public Law 101-644. DOWNLOAD INFORMATION ON THE INDIAN ARTS AND CRAFTS ACT OF 1990 HERE. Please note that the Native businesses and Artisans listed in this directory are not in any way affiliated with, sponsored or endorsed by MNIBA. MNIBA is not responsible for the present and/or future performance of any of these businesses. MNIBA strongly encourages prospective customers to research and verify any/and all references, necessary licenses, bonding, or liability insurance held by these businesses. Download Checking a Contractor's References & Checking a Vendor's References for more information on why it's important and how to do it!